In a blender, purée all the ingredients. Season with salt and pepper. Refrigerate. Preheat the oil in the deep fryer to high. Line a baking sheet with paper towels. Place the flour in a shallow bowl. Place the eggs in another shallow bowl. Season with salt and pepper. Place the breadcrumbs in a third shallow bowl. Roll each bocconcini in the flour, then dip in the egg. Shake off excess and roll in the breadcrumbs. Dip once more in the egg and roll again in the breadcrumbs. Fry the croquettes 6 or 7 at a time until golden, 2 to 3 minutes. Drain on the baking sheet. 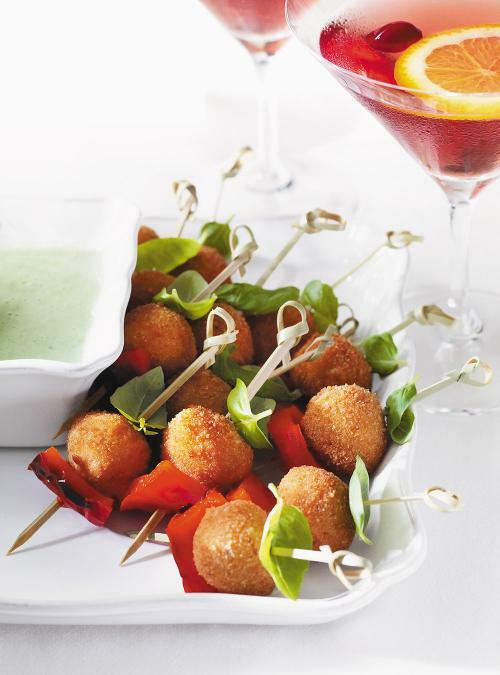 For each serving, thread a basil leaf, a croquette and a square of red pepper onto a toothpick. Serve with the sauce as a dip. You can easily prepare the croquettes in advance and refrigerate them. 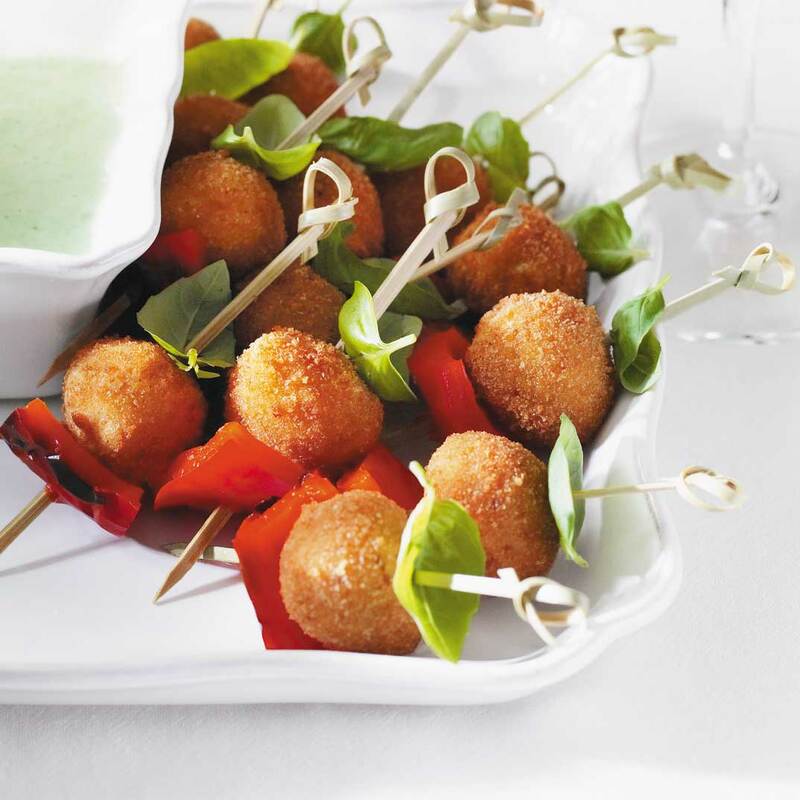 Prior to serving them, simply reheat the croquettes on a baking sheet in the oven at 180 °C (350 °F) for 8 to 10 minutes, and then thread them with a basil leaf and a square of red pepper onto a toothpick. 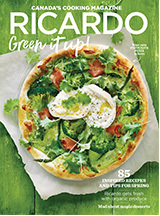 Can you please add the reheating tip? Merci! Hi Bella. Thank you for your suggestion! We have updated the recipe with the note.